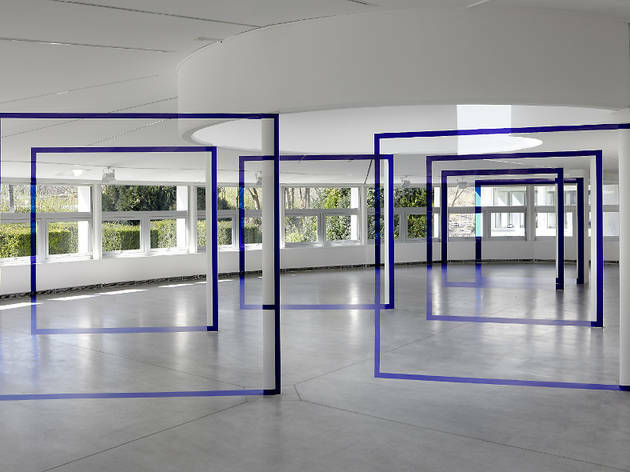 The line between art and architecture is blurred in Varini’s works, bright composite images spread over enormous surfaces. 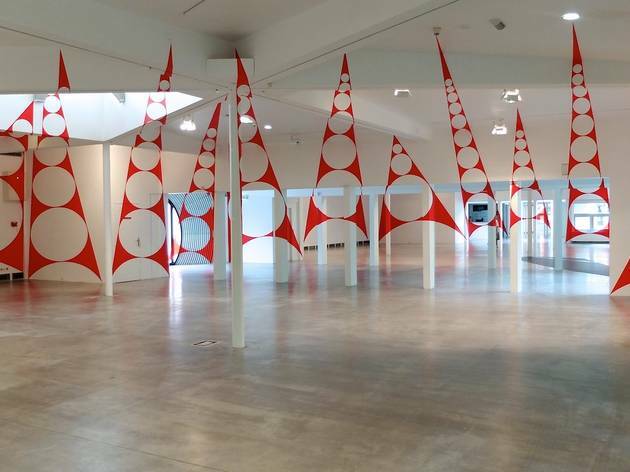 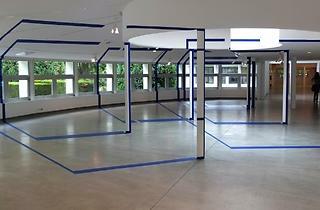 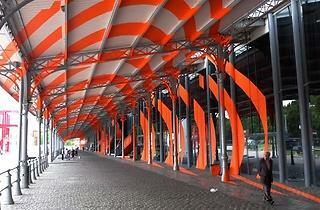 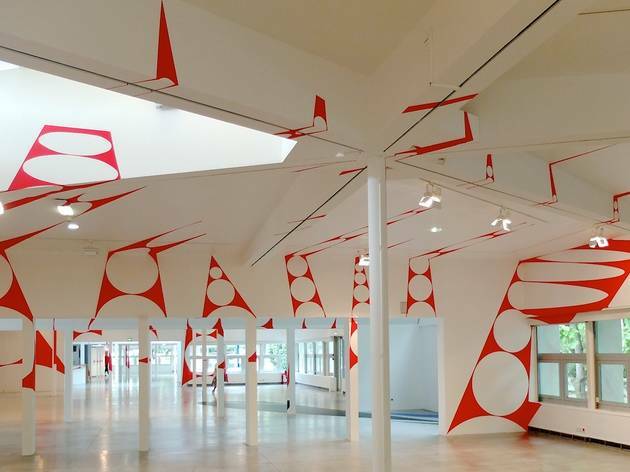 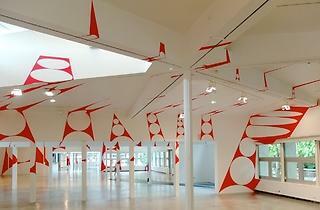 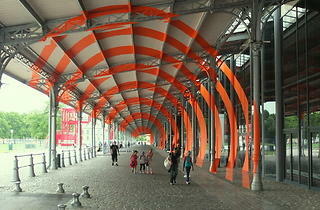 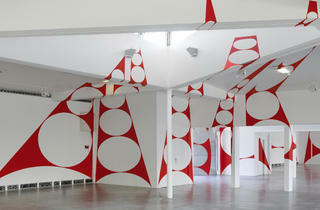 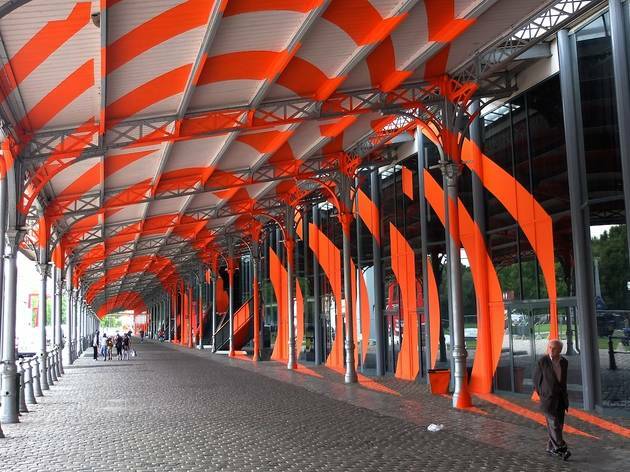 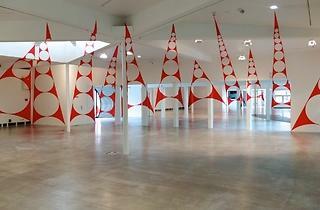 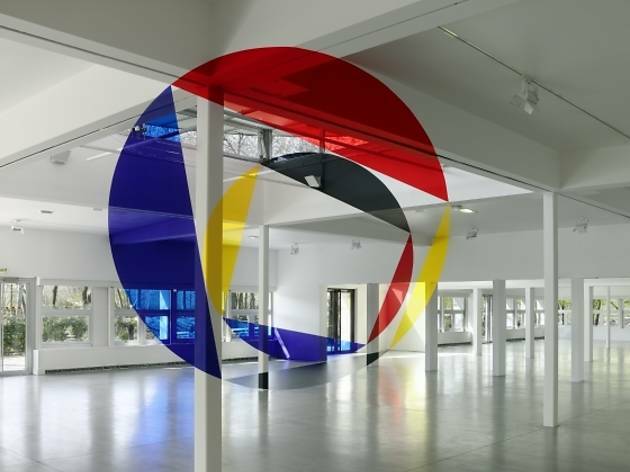 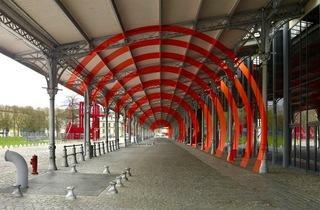 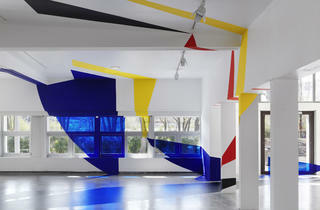 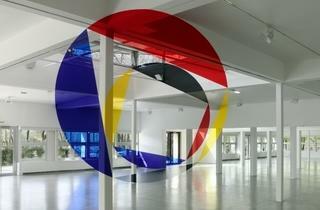 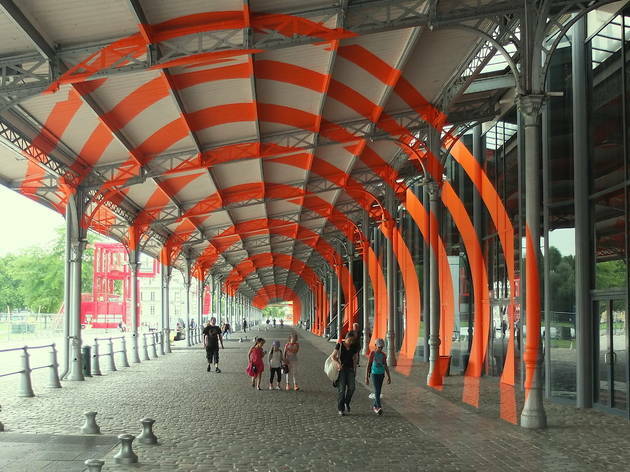 In Felice Varini’s world, painting and architecture go together, and art is expressed with a strong abstract element. 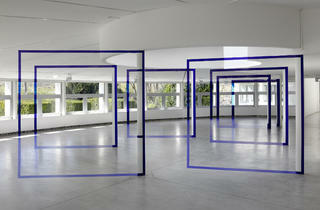 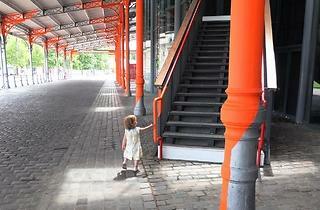 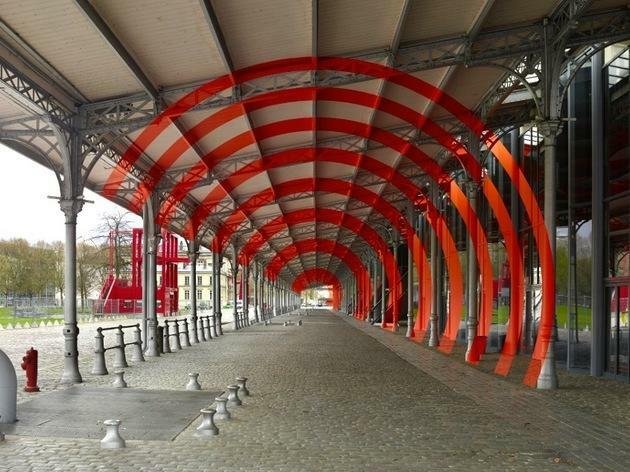 Here, everything is a question of space, of finely calculated geometry, of bright colours, of perspective. 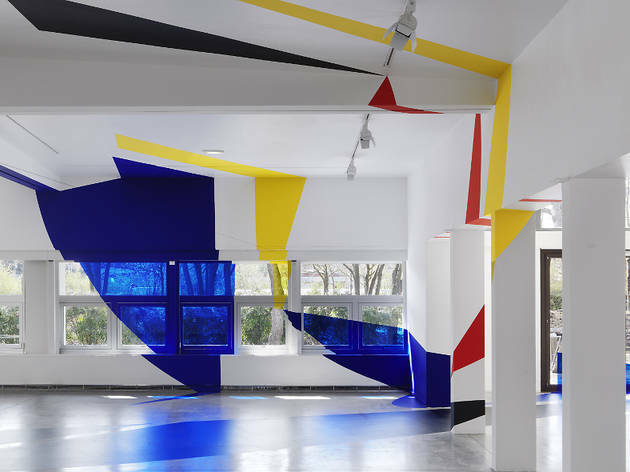 Like his counterpart George Rousse, Varini creates perfectly designed spatial paintings, bordering on trompe l’oeil and street art. 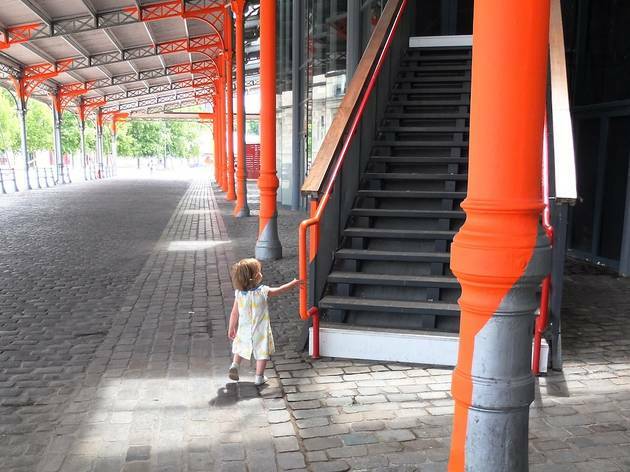 They take over uneven surfaces, their blocks of colour ignoring the boundaries of walls, columns, windows, ceilings and staircases. 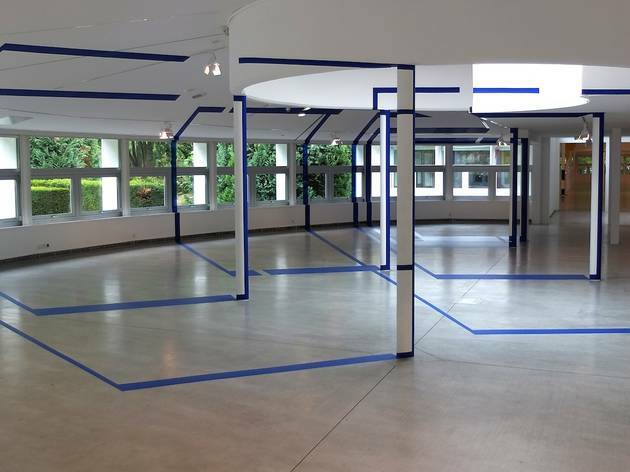 So it’s up to the visitor to explore these enigmatic interventions, to find the point of view that brings everything together. 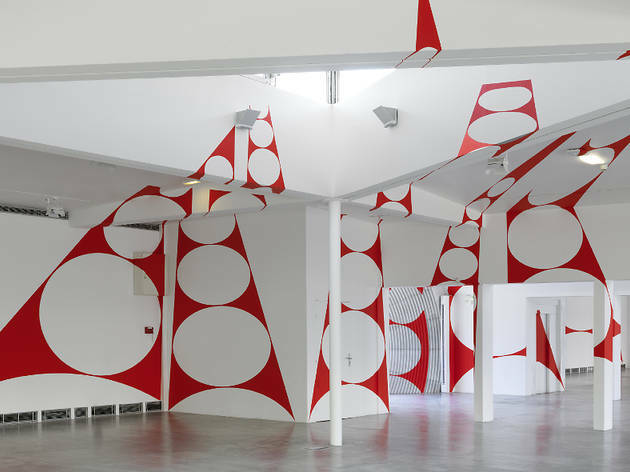 Because it’s only when you find the right spot that the layers of paint become circles, triangles, cubes and squares, and as if enchanted an enormous image emerges from the architecture.